There is a buzz surrounding Manuel Neuer fitness since September, could he make into the 11 man squad? Manuel Neuer German profile goalkeeper is suffering from foot fracture since last six months. Now it has become a situation to worry whether he could play the World Cup. Neuer has been sidelined for quite a number of months, despite the injury he has been seen training with Bayern Munich. But coach Heynecks is not taking any risk to play him in Bundesliga matches. Neuer to Play for Fifa World Cup Russia 2018 or Not? The head coach of Germany, Joachim Leow will reveal his 15 man squad on 15 May. This will be a challenge for Neuer to regain his fitness and make his position into the national team. 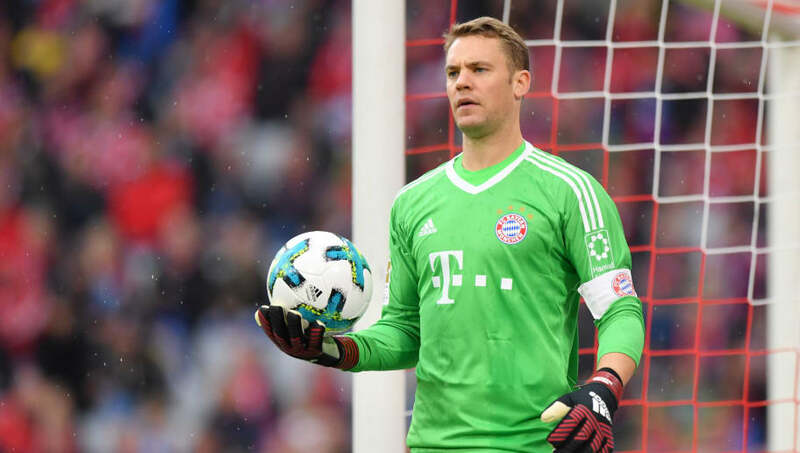 Bayern Munich head coach believes that injury is a part of the game and Neuer has already fractured his foot for three times, so he is not taking any risk to play him in the upcoming Bundesliga games. Leow believes that he would take Neuer to the pre-world cup camp of Germany, he believes that this will let him gain some sort of experience and training for the upcoming world cup. But time is too short and it is doubtful whether this thing will be possible or not. The German team is yet to play a couple of pre-world cups friendly on 2nd of June and 8th of June with Austria and Leverkusen respectively. This will be a real test for Neuer to get back to the national team with full fitness. Germany will begin their world cup campaign on 17th of June against Mexico; however, there remains a shadow about the availability of the German ace goalkeeper on the world cup. But Heynecks believes that Neuer has a great ambition and this positive vibe will help him to recover soon and lead his team for the world greatest tournament.